My Sweet World Craft Brush Pack - Free Photoshop Brushes at Brusheezy! Whether you're on a new scrapbooking project or making party invitations, these My Sweet World Craft Brushes will be the perfect cute little addition. Included in this brush pack are tons of butterfly brushes, flower brushes, buttons, cupcakes, and much more. 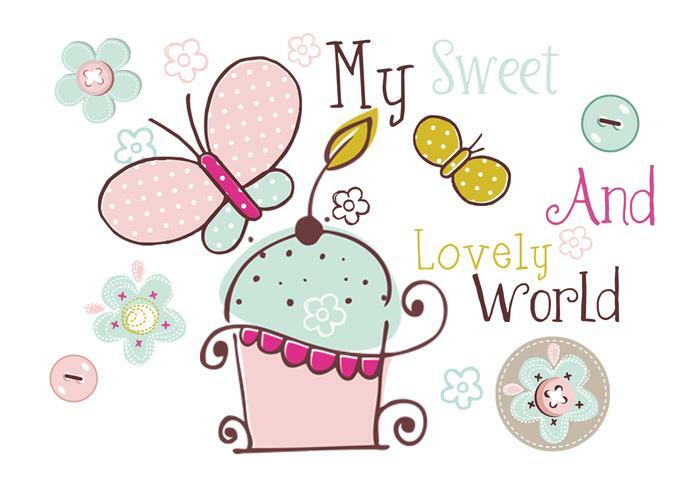 Head over to Vecteezy to download the <a href="http://www.vecteezy.com/Ornaments/34079-My-Sweet-World-Craft-Vectors-/premium">My Sweet World Craft Vector Pack</a>!